A close cropping of spiral galaxy M101 shows an array of stunning details that may be overlooked when viewing the full image. 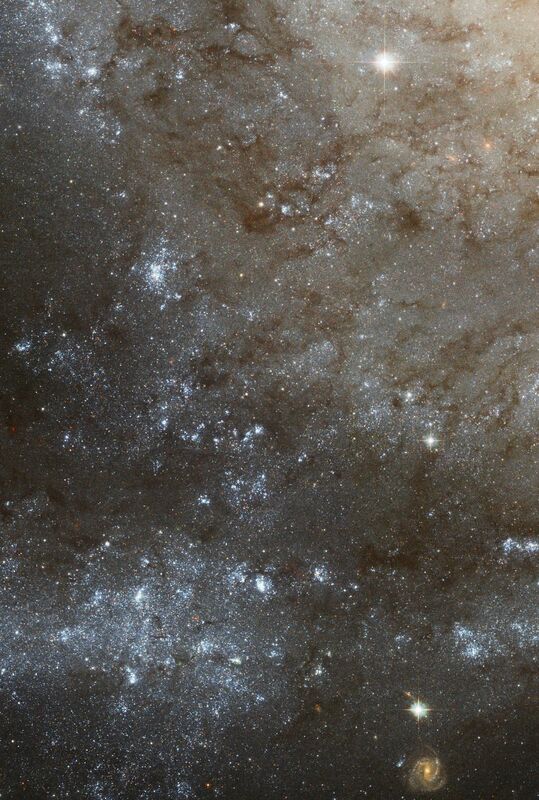 Due to the high sensitivity and fine resolution of Hubble's Advanced Camera for Surveys, one can clearly see individual dust lanes in the spiral arms as easily as an aerial photo captures rivers flowing through a mountain range here on Earth. Bright, hot regions that are areas of active star formation also dot the spiral arms, akin to ground photos of the bright lights of major cities when photographed at night. Several bright stars appear in this small section of M101 (also known as the Pinwheel Galaxy). They are in our own galaxy, superimposed in the line of sight and appear much brighter than the stars within M101 because they are so much closer. So too, a background spiral galaxy, millions of light-years behind M101, appears between two spiral arms. The bright nucleus of M101 just off to the upper left appears brighter and redder than the rest of the galaxy seen in the image. 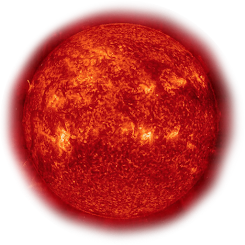 Stars near the halo that surround the nucleus are older and redder compared to the blue, young, hot stars that delineate the spiral arms and populate the metropolitan-style star-forming regions.